Humans have long been in the habit of naming exceptional trees. The General Sherman sequoia, the Methuselah bristlecone pine, and a certain specimen of Ficus religiosa better known as the Bodhi Tree are three such notable individuals. 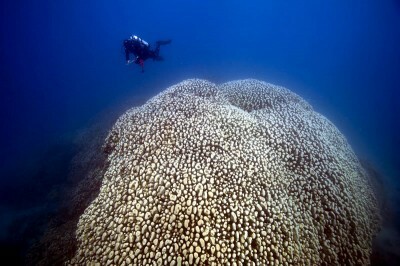 Humans don’t live under water so to the best of my knowledge there are no named individual corals. Today, however, I encountered a specimen of Pavona clavus that is as deserving of a name as any famous tree. Unfortunately it’s hard to show how big this coral truly was, but these photos may help show it. It seems that trees get named based on age, size, or spiritual influence. While there is no record of a human starting a new religion inspired by coral, this colony of P. clavus certainly meets the first two categories. Konrad Hughen (my dive buddy) and I measured it to be 19 meters in diameter and 13 meters tall. 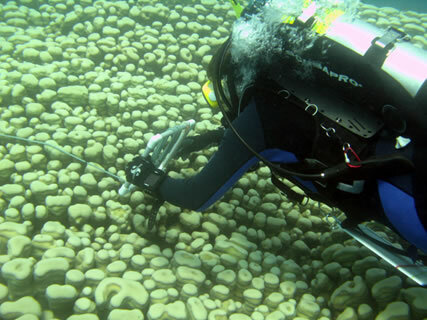 It is hard to accurately determine the age of living corals, but if we use Dunbar et al.’s (1994) description of a 10m diameter 366 year old P. clavus colony in the Galapagos we can roughly estimate the colony I encountered today to be around 700 years old. 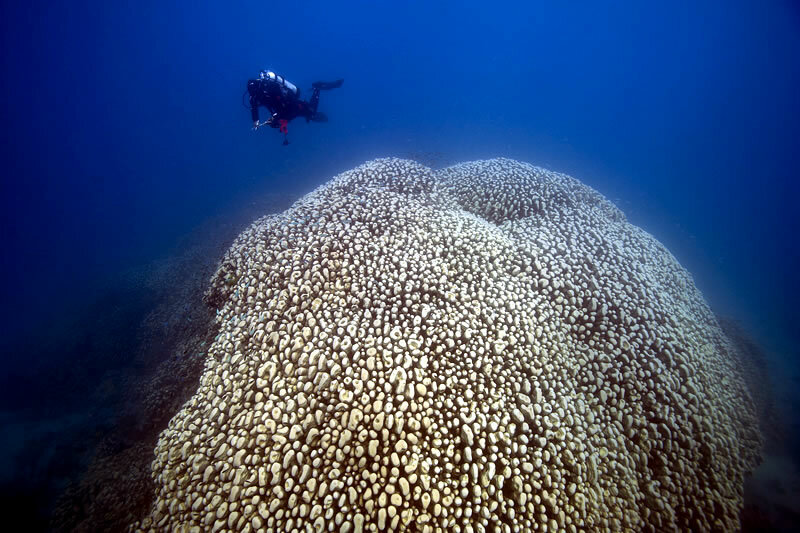 This means this coral has been growing since before Columbus sailed the ocean blue, before the development of Modern English, and long before there were any white people in Australia. Encountering life forms like this reminds us modern humans that our way of life, societies, and environmental impacts have not existed for all that long, although the latter may be something unprecedented. Konrad taking measurements. 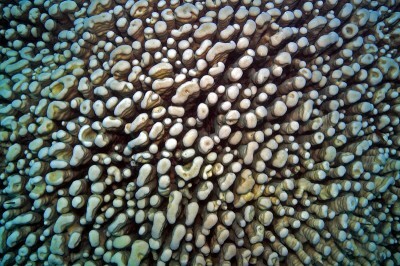 / Surface detail of the P. clavus colony. 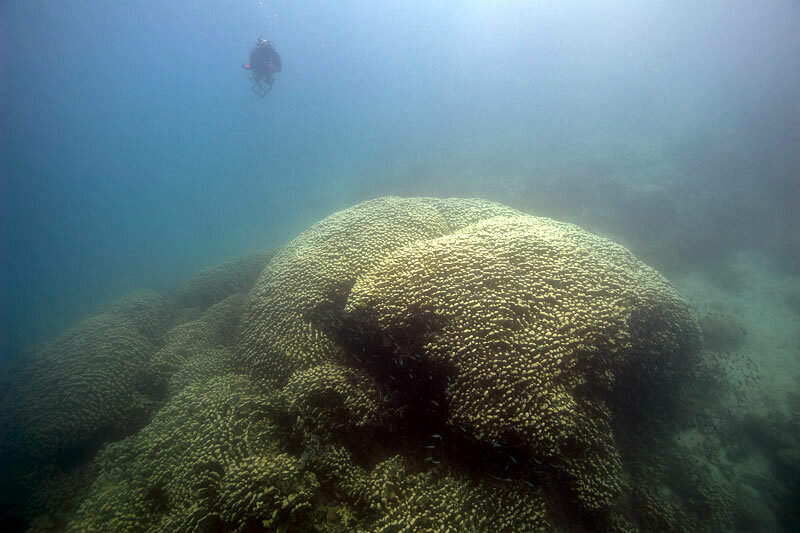 Thankfully the reef where this exceptional coral grows appears to be protected from the worst of modern environmental damage. It is located in a Preservation Zone in the Great Barrier Reef Marine Park where boats are not even permitted to enter; much less fish or dump waste, and corals on the surrounding reefs are both abundant and exceedingly beautiful. Perhaps we can call this coral “Joorr-Joorr” after an aboriginal name for the Southern Cross, which has long been used for celestial navigation in the Southern Hemisphere. 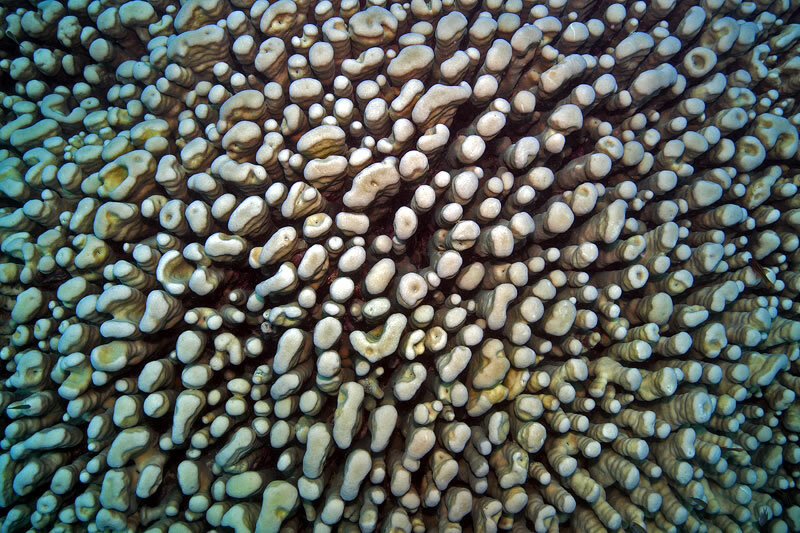 Perhaps this stellar coral can guide us towards a better way of interacting with the ocean. 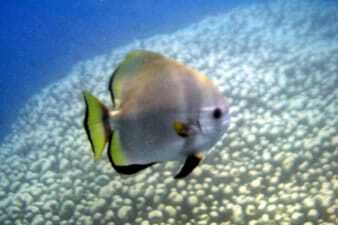 Batfish swimming past the giant P. clavus colony. 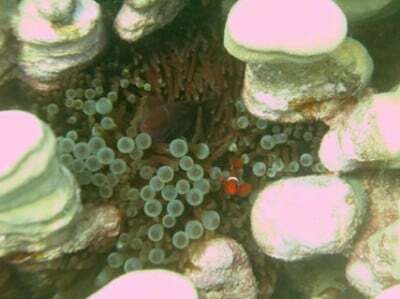 / Spinecheek Anemonefish (Premnas biaculeatus) living in an anemone nestled among P. clavus columns. Dunbar RB, Wellington GM, Colgan MW, Glynn PW. 1994. Eastern Pacific sea surface temperature since 1600 A.D.: The δ18O record of climate variability in Galápagos corals. Paleoceanography 9(2), 291-315.